Still disappointed in how the mortgage rates look these days? Then you might not be looking in the right places. Awesome deals and great interest rates – this is what SunTrust Mortgage is all about. Depending on the features of your specific loan, these rates, as well as discount points may vary. Costs may apply which includes average loan fees, origination points, and even closing cost. Usually, deals can be locked within a 60-day period, provided that the process will go smoothly. The national average for a 30-year fixed conventional mortgage rate is at 3.88%. What SunTrust Bank offers is slightly a bit higher than this, but it is significantly lesser than other lending institutions. CitiBank offers a high 4.375% mortgage rate, while US Bank gives an interest of 4.125%. The conventional, adjustable, and Jumbo policies differ in so many ways. Specific computations for your intended loan depend on these differences which are disclosed to you when you ask for a one-on-one consultation from one of their friendly customer service personnel. Application for a loan usually involves a lot of paperwork. At SunTrust Mortgage, this is not so. They have simplified the process for its customers, giving every bit of convenience that they can. Payment options can either be done online, by mail, or in person. The monthly payments are inclusive of principle, interest, and escrow – all of which depends on the type of loan you’ve signed up for. Individualized computations for your loan can be given for free upon request. 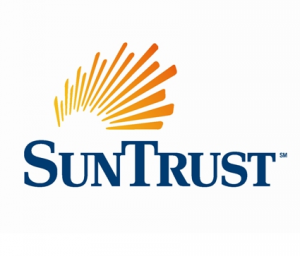 SunTrust Banks is among the leading financial groups in the United States, with a total asset of $172.6 billion. Although it is based in Atlanta, it is able to reach out to other states which incudes Florida, Maryland, Georgia, Tennessee, North and South Carolina, Virginia, and District of Colombia. Aside form mortgages, it offer other services such as banking, insurance, brokerage, equipment leasing, as well as capital market services.